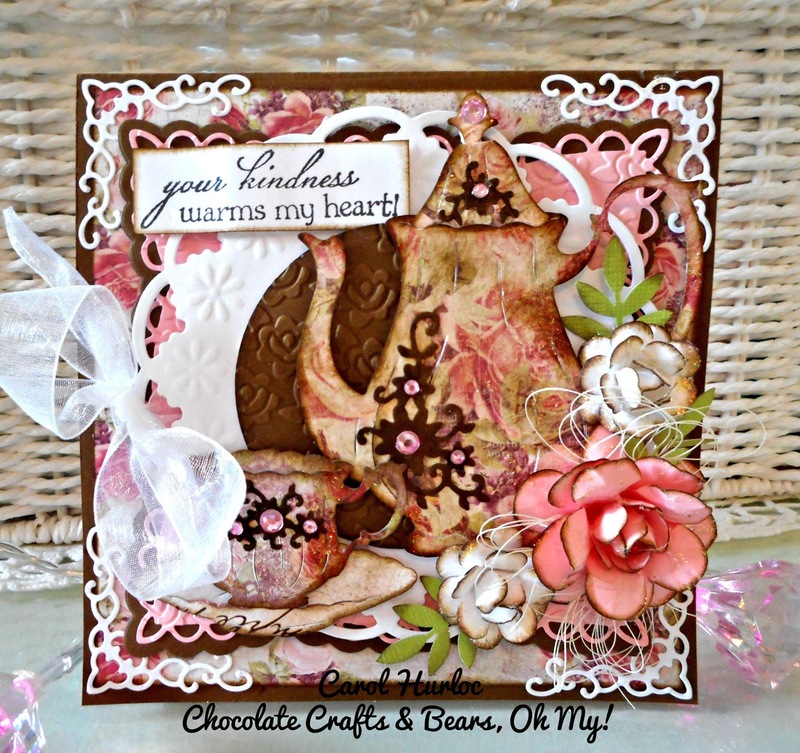 This is another card with the CottageCutz Teapot and Teacup die with Prima Tales of You & Me paper. LOVE that paper.....lol Although I did this card in blue, this one has a little bit different configuration with dies and embossing. Along with the Marieanne Designs background dies the Cheery Lynn corner dies were used. 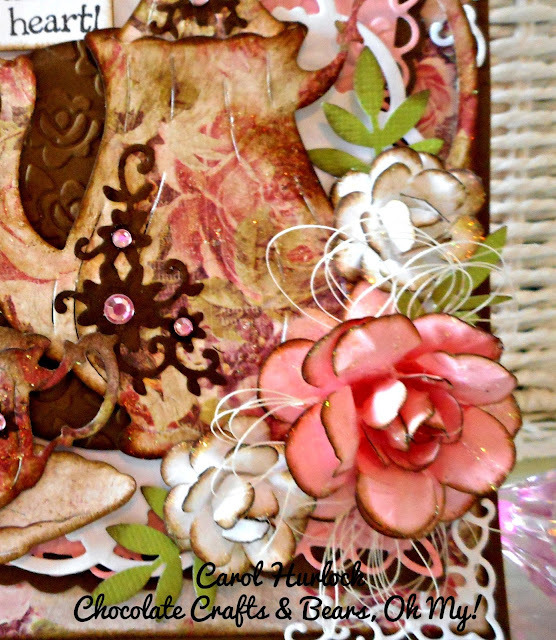 The roses are created with a Marvy Punch and the edges were distressed with "brushed corduroy" distress ink. Thanks so much for stopping by to view this creation. Sure do appreciate it. Until next time. Happy Crafting! Would love to duplicate but need a more complete list of dies, etc.